The School of Health Sciences is an interprofessional school featuring seven professional studies departments: Athletic Training, Exercise Physiology, Health Informatics and Information Management, Occupational Therapy, Physical Therapy, Physician Assistant Studies, and Social Work. Together, these departments offer a wide range of bachelor's and master's degrees as well as the doctor of physical therapy degree. These departments build upon the College's core liberal arts education to prepare graduates for practice in their chosen healthcare profession. Faculty members in each of the professional departments in the School of Health Sciences are not only academically prepared to teach, but also have significant professional practice experience. This combination of professional experience and academic preparation allows faculty to offer students rigorous academic program content as well as understanding the application of this content in the context of real-world professional practice. Dean Bruce Loppnow joined St. Scholastica in 2016. He earned a Ph.D. in organization and management from Capella University. His B.A. degree is in geography and his M.S.H. is in healthcare administration. 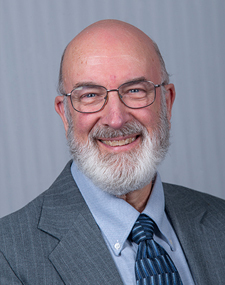 Bruce has extensive experience as a hospital executive in Wisconsin, as well as substantial higher education experience as a faculty member and administrator.